Welcome to the new KM Store. 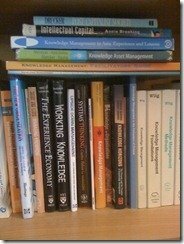 Much of the basic and essential information about knowledge management can be found, free, on this website.We hope this helps you. 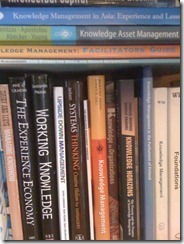 But much more valuable and advanced information can be purchased in this KM Store. This includes comprehensive ebooks on how to implement knowledge management, and the latest 'leading edge' thinking and recent breakthrough insights in the development of KM. If you are not entirely satisfied with the purchase of any of the products in this KM Store we will provide a full refund upon receiving your email and return of the products, within 30 days of the purchase date. A comprehensive and well proven KM Consulting Methodology, developed and partially funded from a European Commission KM project. A comprehensive Directory of practical principles, methods, tools and techniques to implement.